The neonate tzabcan had crawled out of a cornfield, and was making its way to dense forest on the other side of the road when it was smashed flat against the pavement by a passing vehicle. We stopped to take a look at the unfortunate little rattlesnake; I took a photo voucher and a data point, and we went back to road-cruising. After passing that spot several times, Matt and Tim wanted out of the car, figuring that Mama Tzabcan, or siblings of the squashed snake, might still be over in that field. Their flashlights and headlamps disappeared from view as I whipped a u-turn and road-cruised solo for a while, maximizing our efforts. Five miles down the road I stopped at the outskirts of a small village and turned back, hoping the guys were having better luck on foot. Rolling up on the spot where I had dropped Matt and Tim off, I could see their lights bobbing in the field as they made their way back to the road. Just then a small snake appeared in my headlights, and I instantly knew what it was. Braking to a hard stop, I jumped out of the car and ran back, using my boots to block the passage of the neonate tzabcan. “I’ve got one!” I shouted to Matt and Tim. “A live one!” We had guessed right about this sibling. In all likelihood there were more of them, born just the previous week, freshly shed little button-tails dispersing into the dark. Neonate Crotalus tzabcan with my shoe for scale. Our Yucatán field herping crew took the next morning off and played tourist at Chichen Itza, one of Mexico’s great archaeological sites. Rattlesnakes were still fresh in my mind, and little did I know that our visit to the famous ruins would only intensify my interest. We arrived before most of the tourist buses, and strolled about the manicured grounds – the surrounding forest had once grown over the structures at Chichen Itza, but it was cut back years ago when the site became an attraction. Keeping a wary eye on tourists, ctenosaurs basked on the stone edifices, reptilian reminders that the forest, hovering nearby, will return some day. 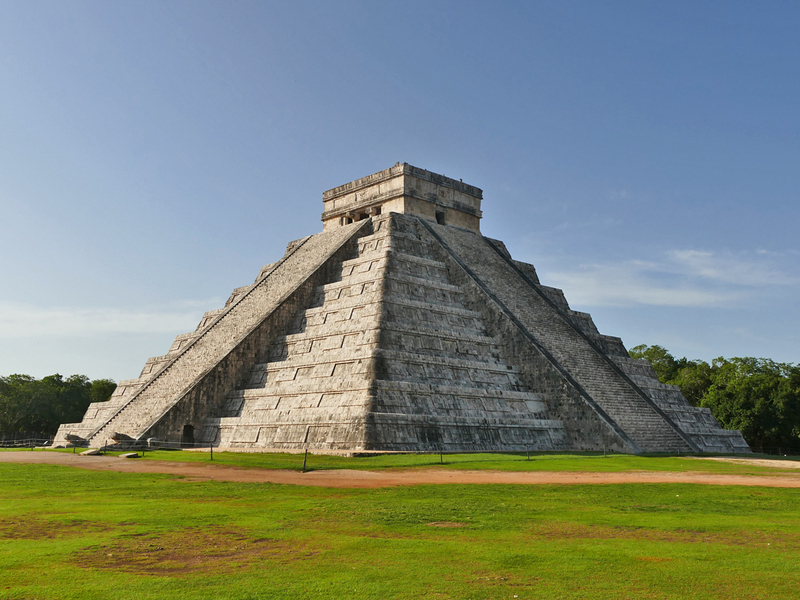 The great central pyramid at Chichen Itza honors Kukulkan, the feathered serpent god of the Maya. There are impressive staircases on each of its four sides, and one set, the astronomically positioned one, is flanked by large stone rattlesnakes, their fanged mouths gaping at the bottom. The placement of the pyramid is purposeful, for twice a year at the solstices, the low sun casts shadows of the terraces onto the serpent staircases. Triangular shadows, that give an extra dimension to the stone rattlesnakes, and the slow crawl of the shadows gives them the suggestion of movement. Crowds gather at the solstices to see this vision, known as the Descent of the Feathered Serpent. The Temple of Kukulkan at Chichen Itza, with serpent staircases at left. Representations of rattlesnakes were everywhere as we walked about Chichen Itza, perhaps the most common figure carved into the stones. They adorned other staircases, and were carved into stone panels either as part of a scene, or in borders separating the panels. One panel featured a human male figure, surrounded by several dozen crawling cascabels. Adorned with a tall headdress, he carried a bundle of spears, a severed human head, and a rattlesnake by the tail. Of course our crew speculated that he was the Mayan equivalent of a field herper, but more likely he was a shaman or a warrior figure. The master of serpents. Note the rattlesnake borders, top and bottom. Aside from all of the rattlers, there were more severed heads, skulls, and grisly depictions of jaguars and eagles feasting on human hearts. Human sacrifice was a part of the Maya culture, and the removal of the victim’s still-beating heart on top of Kukulkan’s temple was done to honor the gods, to ask them for success in battle, to send rain for the crops in the fields. Others were cast from a platform into the waters of the sacred cenote. Were these people victims, perhaps captured in battle, or were they willing volunteers? The carved stones do not say. It is difficult for me to understand how such a culture came to be, and how it could function, but the Maya were far from the only people who practiced ritual sacrifice – my own Celtic forbears were little different in this regard. 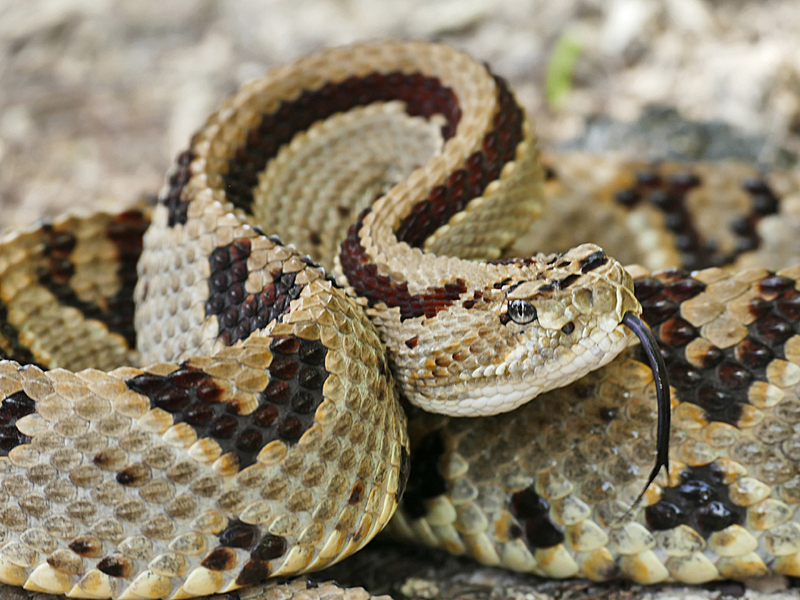 ‘Tzabcan’ is the Yucateca Maya word for rattlesnake. No other rattlesnake is present in the Yucatán; there is no thinking about Crotalus tzabcan without considering the relationship between the humans and the belled serpents who live here, both in the present day and backwards through time. Ethnoherpetology. Our little rattlesnakes came out of a cornfield, or milpa, planted much the same as the Maya did back when Chichen Itza was at its zenith, and for a thousand years prior. 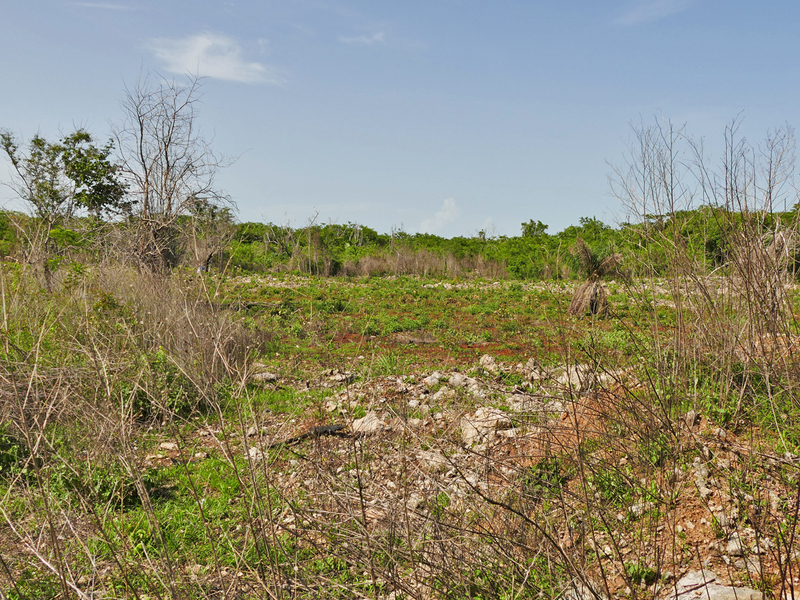 The overlying forest and thornscrub was cut back and burned, and seeds of corn, squash and beans planted wherever soil accumulated among the hard limestone. The cleared milpas were planted for several years, attracting rodents which in turn brought in the tzabcan, a cycle seen in other places of the world with other serpents. The field of the little tzabcans in the light of day. There are things in life that you suspect to be true, in the absence of proof, and then there are truths that you feel in your bones. 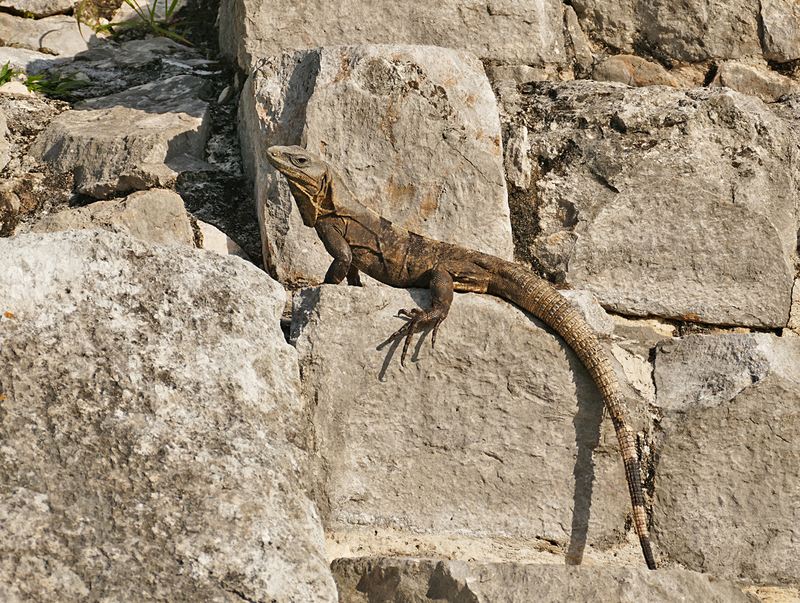 I have no doubt that the Maya in the era of Chichen Itza were intimately acquainted with the tzabcan as it crossed their fields, or emerged angry and buzzing from their burn piles, and I’m sure they were acutely aware of the rattlesnake’s power over life and death, an arbiter between this world and the next. I’ve read that the Toltecs brought their god Kukulkan with them, when they came south to dominate the Yucatán peninsula; the rattlesnakes were already here, ripe for cultural embodiment. 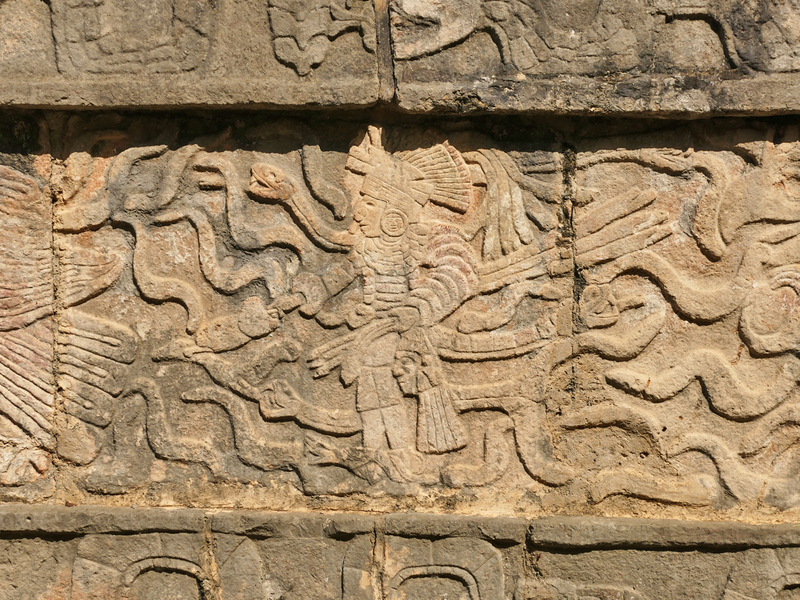 Upon arrival, the feathered serpent god wound itself around the brain stems of the Maya, and crawled into their culture, never to leave. 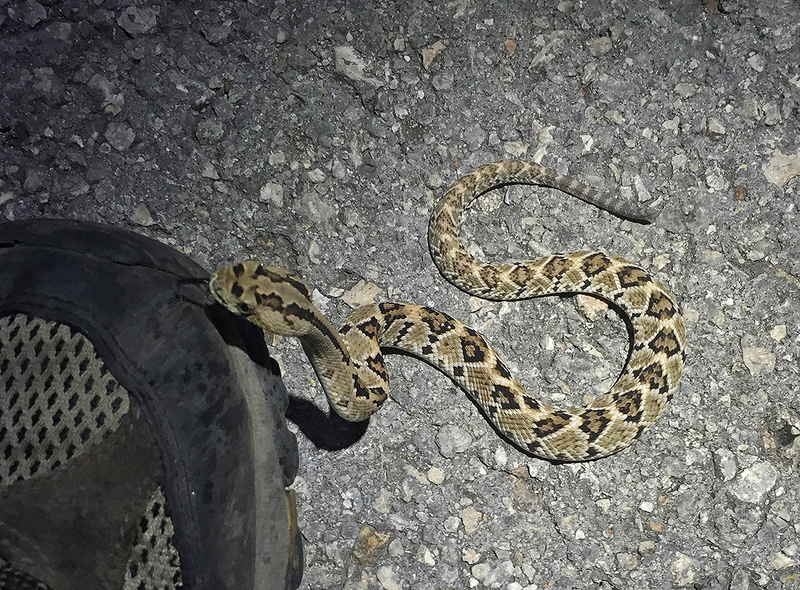 Several days later, Mack and Andy cruised up an adult Crotalus tzabcan, around four feet in length, and it was a wonder to see our little cornfield rattler writ large. In this snake I could see the carved serpents of Chichen Itza, and perhaps a glimpse of the awe and fear the tzabcan must have instilled in those who tended the milpas. Many of the dorsal scales making up the diamond patterns and the neck stripes were a deep garnet color, like dark droplets of dried blood. The significance of that was as evident to me as it was to those who lived in days long past, when blood was spilled on stone. This was a really great read. Thanks for taking me along, that’s how it felt reading this. The ruins are really interesting, I’m glad you including all of this.